← The Hills are Alive with the Sound of bava! I love the smell of Duke Nukem 3D in the morning, smells like….the 90s! I’ve been continuing to play with the Homebrew 3DS exploits and hacks for Ninetendo’s 3Ds, and it has been fun. 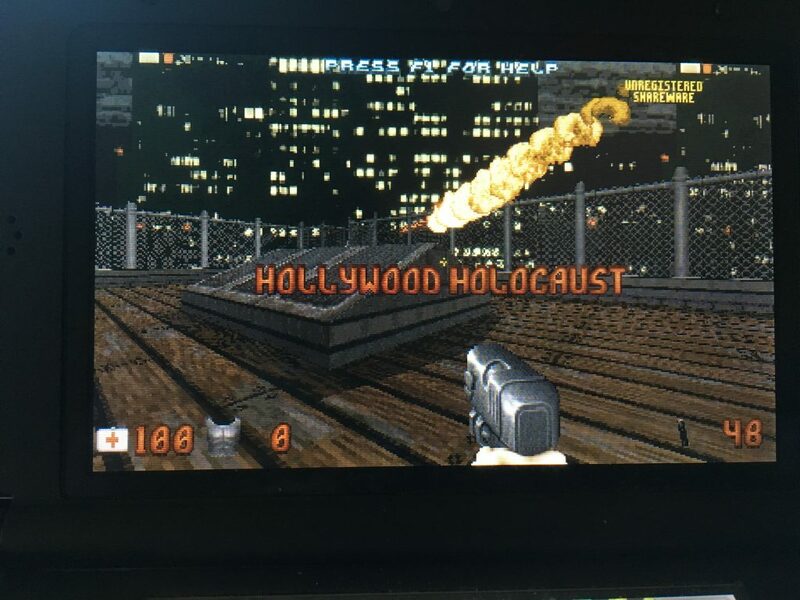 I was working on Portal and Doom for a while yesterday, but those are still eluding me so I switched gears and tried to get Duke Nukem 3D up and running. I’m happy to report it worked, and getting it going helped me understand a bit better how these ports operate. Keep in mind, everything I discuss below depends on you having installed Homebrew on your DS. 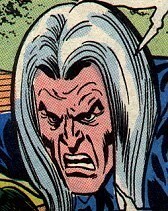 Let me try and explain, although I know for some of you this is rudimentary, but nothing is ever obvious to me. So, Duke Nukem 3d has what is considered the definitive port know as eduke32. 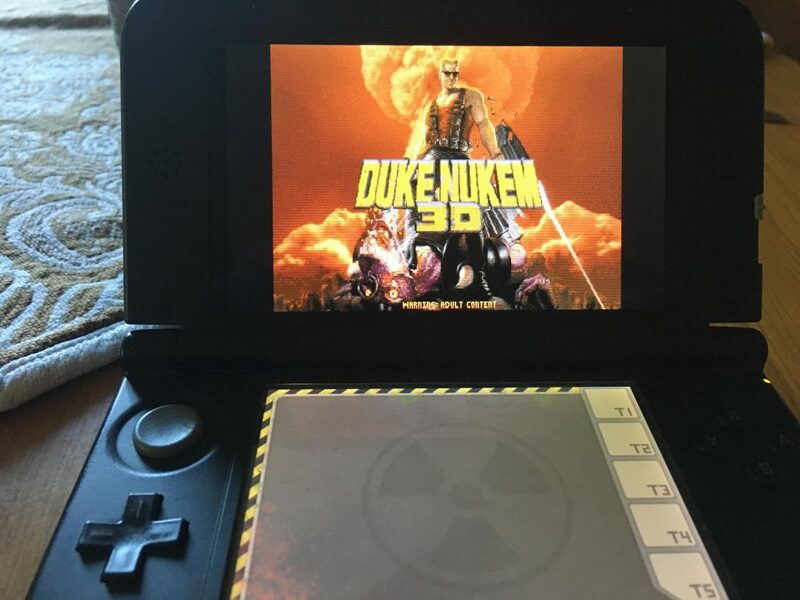 A community that has basically open sourced an engine that ports Duke Nukem for various platforms, one of those is 3DS. 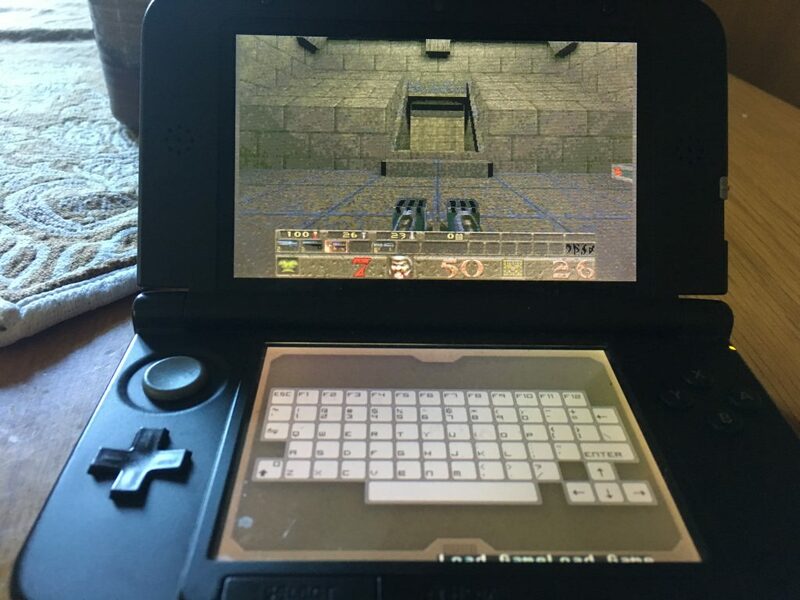 So, given the eduke32 code is open sourced (how that is possible is something I need to look into), masterfiezz was able to make a branch of the eduke32 code that works with the 3DS, and it’s available on Github (thank you, masterfiezz!). I could then download the latest release on Github and install in on my SD card for the 3DS within the /3ds folder. One quick note if you’re new to this, you need to add the files in the source download on the releases page into the /eduke32 directory containing the eduke32.3dsx file. I missed this step at first and it threw me off. * After that, it should run quite well. In fact, I’ve been really impressed with the Duke Nukem 3D ports in general, and this not the first time playing with them. After my success with Duke Nukem I got emboldened and decided to give masterfiezz’s other port a shot, namely Quake—the successor to the Doom series. It was my lucky day, or maybe masterfiezz is jut that good. I followed the same exact method as I did with Duke Nukem. I went to the latest releases page, downloaded both the source code for quake and the ctrquake zip and merged the two in a directory titled ctrquake. I also downloaded and added the the ctrquake.cia file (.cia is the file format that digital 3DS games come packaged in) to the ctrquake directory. 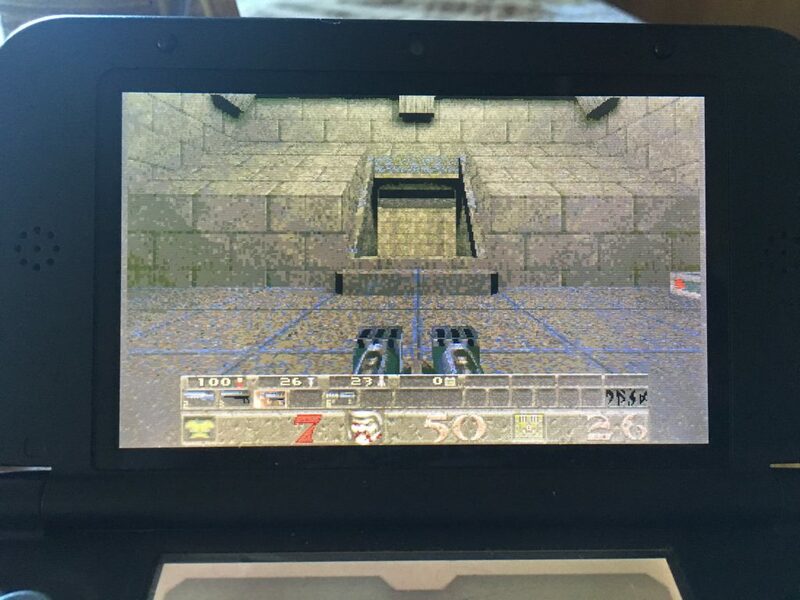 I then copied that directory into the 3ds directory on the 3DS’s SD card and Quake is now option in the Homebrew menu. Both of these games were revolutionary for me. They helped define not only the first person shooter, but the idea of video games and the networked world. Duke Nukem’s irreverence suggested that games could be iconoclastic and bawdy all at once—and it was also the very first time I played a game on a local network against other people. While Quake was the first time I played a video game on an online server which was a brave new world then, which we now take for granted. It was crazy to think I could battle other people from all over the world in a demon universe. So, firing these two up on the 3DS is no small thing for my personal sense of video game history, and I am beginning to feel some strong 90s nostalgia building up. This entry was posted in 3DS, fun, video games and tagged 3DS, Duke Nukem 3D, fun, games, homebrew, Quake. Bookmark the permalink.